Like most omnivores we usually find the meatier sandwiches of the world more compelling than their vegetarian counterparts, but sometimes it pays to be open-minded. Cafe Gratitude, with a half-dozen restaurants in the Los Angeles area and beyond, is the kind of place that can turn tofu into something crave-able. So we're not too surprised that their sandwiches are pretty killer as well. The "Yo Soy Fuerte," or "I am strong" (yes, the menu names things after affirmations; please reserve judgement until you've tasted this thing), brings together so many amazing vegetarian ingredients that we're having trouble keeping them straight. The bread: A thin, grilled panini-style bread holds everything together. 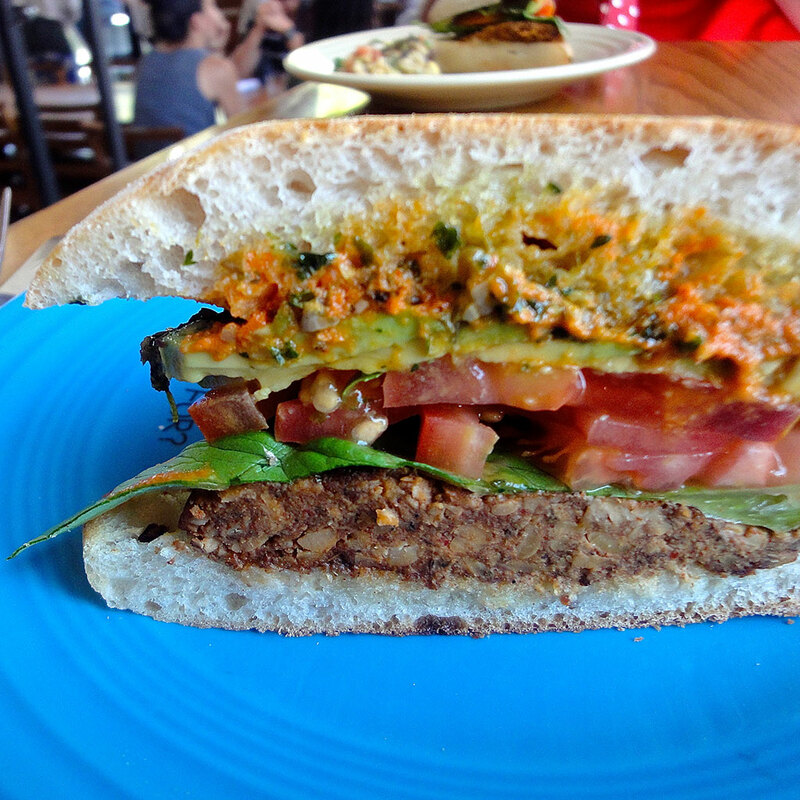 The filling: The housemade tempeh chorizo steals the show with plenty of lettuce, tomato, and avocado. The cilantro pumpkin seed pesto is an ideal condiment, with chipotle cashew cream, salsa verde, and roasted tomato sauce to go with it. This sandwich layers flavors like few we've ever seen—vegetarian-friendly or otherwise. Where to get it: Cafe Gratitude's Los Angeles, downtown LA, and Venice restaurants.